Having separate flowers for the wedding and reception can be costly, and you can save money by reusing the flowers from the ceremony at the reception. Make sure you have someone to help make the move so you don’t have to worry about it on your big day. Just like produce at the grocery store, flowers are cheaper if they’re in-season. You can save a lot of cash if you coordinate your main flower choices with the season of your wedding. An online florist might seem risky, but you can feel confident that online florists provide quality wedding flowers by checking the reviews. If you’re nervous about choosing flowers that you haven’t seen in person, go to a local floral shop to check out the styles and do some browsing. This is a fantastic option if you have your own garden or like to grow flowers. It also adds a personal touch that can’t be matched by purchasing flowers. It’s still important to have a florist though, because they can help you arrange them in bouquets and can add other flowers if you don’t have enough. You might be wondering if this is actually a legitimate option, but there are lots of faux flowers on the market that look and feel real. This also cuts down on allergies if some people are prone to reactions to pollen. 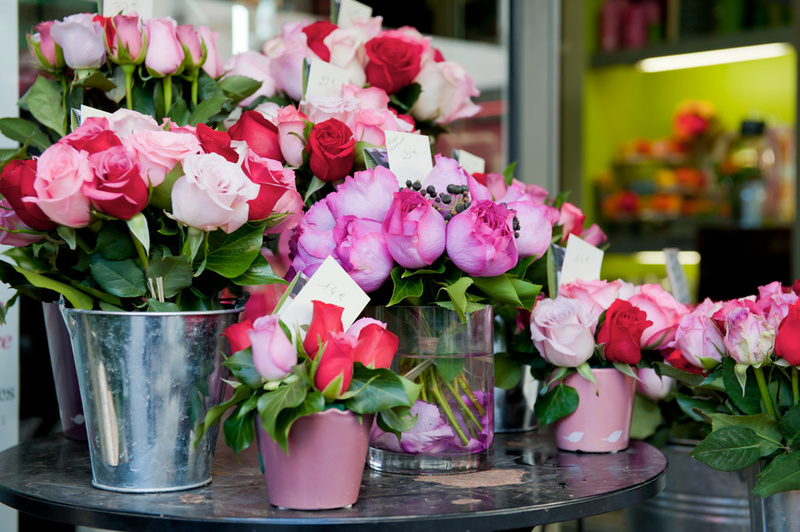 Talk to your floral shop to see what options they have for imitation flowers. Another perk? Faux flowers will last a lifetime. This means you’ll need minimal flowers because the background will be full of vibrant blossoms. It’s still a good idea for the wedding party to carry flowers, but you will cut down on decorative flowers while still having a very floral wedding. If you don’t know where to start, talk to your florist for advice. Have you recently purchased wedding flowers? Did you buy discount wedding flowers or did you splurge for a more expensive choice? Do you have any tips on choosing beautiful flowers that will make a statement while not breaking the bank? If you have any thoughts on the benefits or drawbacks of discount wedding flowers, leave a comment below and share your thoughts with people who may be overwhelmed with making so many wedding choices. Continue your research here.